Located 2 minutes off the M1 motorway and 20 minutes north of Dublin airport. This Egyptian themed entertainment center is the newest addition to the Funtasia family business, boasting the first of its kind in Ireland , pirates cove interactive waterpark, featuring over 200 water gushing activities including the adrenalin pumping super bowl speed slide and the Boomerang. Other attractions include the Atlantis Cove play area, a 14 lane bowling alley, Roller skating rink, crazy golf, rock climbing, a luxurious Casino, Pharaohs fast food restaurant, video games, simulators and lots lots more! This family run business has been providing entertainment for over 25 years. Situated just 20 minutes north of Dublin in the heart of the picturesque seaside resort of Bettystown, we have something for all the family. 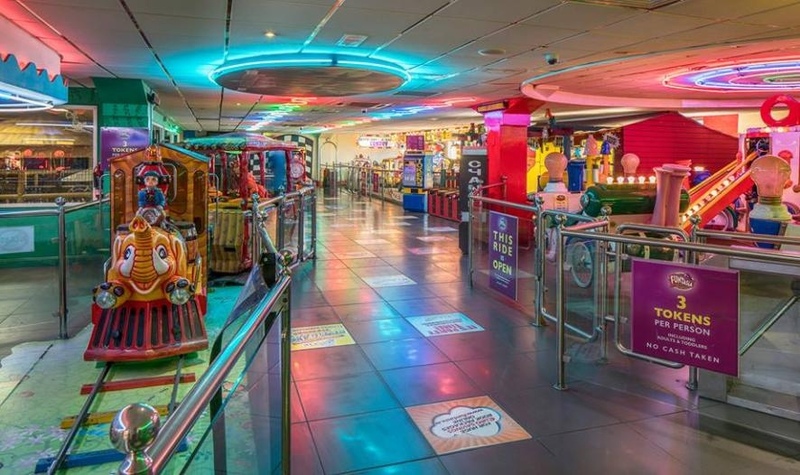 Among the many attractions and facilities Funtasia Bettystown has to offer the fairground rides prove to be the most popular, with white knuckle rides for the thrill seekers and gentler attractions for the less adventurous. Dine in our carousel themed restaurant, our mouth watering menu will certainly satisfy! Explore the jungle zone, the multi level play area it will keep the young explorers busy for hours with adventures around every corner. Host the ultimate Birthday party in one of our party suites. With 5 different party options to choose from and a children's Disco a memorable celebration is guaranteed. A luxurious casino, 3D motion theater, American themed pool areas and Irelands only rollercoaster on a roof make Funtasia a must to visit! Climb the Hill of Tara and pretend that you are an ancient King or Queen of The Royal County - and the views are spectactular too! Visit Sonairte (The National Ecology Centre) in Laytown and enjoy the Nature Trail & River Walk, or admire the cool educational products in the eclectic Eco Shop. Did you know that Trim Castle took more than 30 years to build, back in the 12th century? It's a fascinating place to explore and it also served as the backdrop to the Oscar-winning film, Braveheart. Meath has just seven miles of coastline, but there are some great beaches at Bettystown, Laytown and Mornington. Bring a bucket and spade, go paddling in the shallows or play chase in the sand dunes. Grab a fishing net and see if you can catch anything at Rathbeggan Lakes (photo), near Dunshaughlin, where there is a special Kiddy Lake for beginners. You can also hire a rod and bait and all you need for two hours of fishing fun! 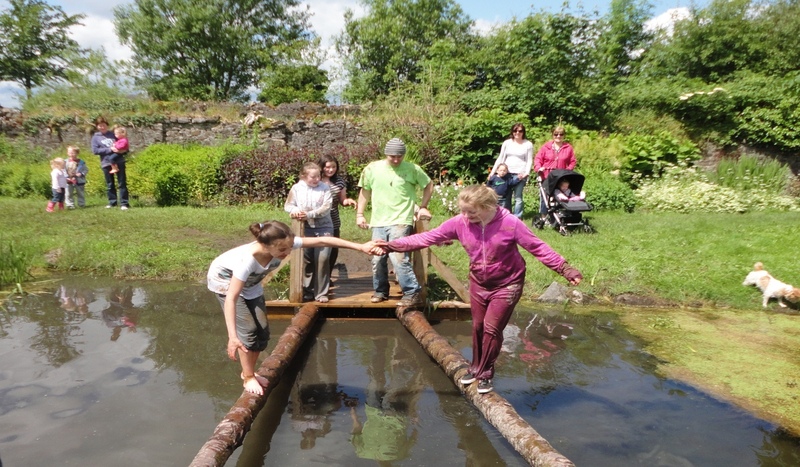 Explore the bog at The Causey Farm at Fordstown, Navan. Learn how to Bog Jump, Make a Rope or Milk A Cow. Causey run brilliant events throughout the year from the Fairy & Elf Fairs to the Summer Family Days and the truly scary Hallowe'en Experience! Take a long stroll through the fabulous Mullaghmeen Forest Park, near Oldcastle, with more than 1,000 acres of land and a wide variety of walks available. Feed the animals, explore the straw maze and take a tractor and trailer trip - all part of the fun on offer at Newgrange Farm near Slane. Watch out for the Sheep Races! Spend a few hours at the recently opened The Zone Activity Centre in Navan, where there are a huge range of exhilarating things to do, including karting, paintball and archery. Soak up history in the heritage town of Kells, from the ancient stone crosses to St Colmcille's House and the Round Tower and the Tower of Loyd - the latter has a playground too.